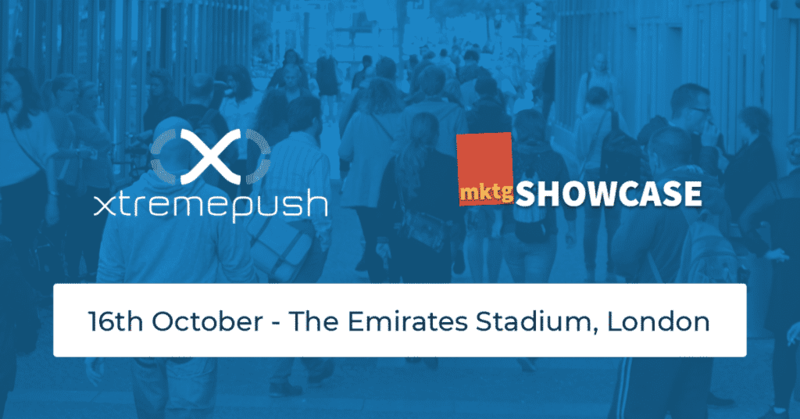 Xtremepush are excited to be exhibiting at the Marketing Showcase event at the Emirates Stadium, London on 16th October. These one-day events run up and down the UK, and offer delegates the opportunity to meet with marketing experts and solution providers, as well as attend a series of educational talks throughout the day. Xtremepush will be showcasing their multi-channel engagement solutions, including Web Push Notifications, In-Web Messaging, Push Notifications, In-App Messaging, Social Engagement, Email & SMS Marketing. To find out more about Xtremepush, view our case studies and discover how we enable enterprise brands to drive engagement, reduce costs and increase revenue. Please get in touch today and book a meeting with the Xtremepush team via the form below.